Jennifer Louge played, and she was great! Jennifer Louge played unpluged up on our terrace this wednesday (the 26th of august). 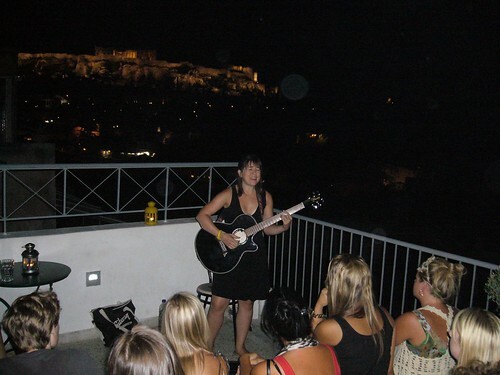 It was her with a guitar, and her beutieful voice and in the background the Acropolis. What more can you ask for? 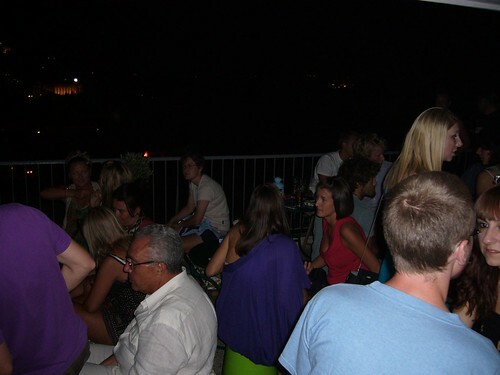 The terrace was packed with people. There was not only the big international crowd of our guest. Also alot of our greek friends came to listen. And wow, people where really listening. We all had drinks and was talking and to be honest the sound level was high, just as it should be. But as soon as she started to play on her guitare the tunes washed over us. It was like pressing a mute button. We all fall in silence and the only sound you could hear was her. Multicultural – Art exhibition at AthenStyle! The exhibition “Multicultural” starts @ AthenStyle. And we invite you all to the opening party on the 2 of September, 21.00! Welcome! Tommaso Chiappa lands in Athens to present his exhibition “Multicultural”, in which the artist shuffles the cards and tries to establish various parallelisms between places and integration concepts. Tommaso Chiappa throws our point of view into his perspectives, between desolated roads and aerial views enlightened by improbable beams of light. The artist prefers oil painting and pure colours (blue, green, yellow) to realize his “places”; his pure colours transcribe the reality into the paintings and at the same time highlight the passages and correspondences between one place and the other, suggesting that the place and the interlocutor do not count anymore: the most important thing is to be observers and to strive to integrate in the territory, whichever it be. In places spread between Athens and Palermo, some people are looking for a settlement, or for a passage, in a profoundly multiethnic society. Their colour, religion and customs are different but they are united in the will of living the territory surrounding them. The exhibition wants to be an invitation, a proposal of change, and an immersion in painting, in life, in the place. Jennifer Logue is a young singer-songwriter who is making her mark on New York scene. Her music is quirky, energetic, and international, blending the best of the States, Europe, and yes, even Latin America. She’s a powerhouse singer, a guitar player, an actor, a world traveler, a pianist, and a multi-linguist, with an undeniable talent for crafting melodic, catchy pop songs. Jennifer is going to perform in AthenStyle presenting “Paint The World Pretty Tour“. Why: Because she’s pretty cool! Athens is safe and the roof rules! Being Greece very hot and dry, it is unfortunaty common to assist to summer fires. This time, as many of you have seen from the news of the latest days, there’s a fire going on outside Athens, in the northern villages of the region attika. There have been no reports of missing people and we all hope that it will stay this way. Even though the situation has been difficult, today came some good news. The wind changed direction and is now blowing away from Athens, and its for-casted to continue that way, this will help the firefighters and the volunteer’s to fight the fires. Athens city centre, where we are located is totally safe to visit and we are carrying out our daily activities normally. Today when i watched out the window the sun was shining and the clouds from the fires that we could see yesterday have all moved away and the sky is again blue as we all want. Athens is again the lively city as it was on Thursday, the day before the fires started, so if you planned or are planning a visit to athens don’t hesitate to come over! 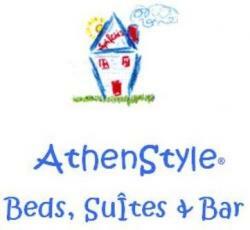 And also feel fee to contact us for any questions or updates at info@athenstyle.com. AthenStyle is always the place to be but especially on Wednesday! Jennifer Logue, a singer and songwriter based in New York is going to play live up at our Rooftop bar in her tour in Europe to promote her new album. The bilstering sun has caused us burning red shoulders and now is the time to hide in the dark with a movie. At least we thought so, thats why we tonight have a Movie night at AthenStyle. Of course, we are going to see Mama Mia, what else can you see when your in Greece. What more can you ask for then Maryl Streep singing the winner takes it all in the sunset on a greek iland, on her way to her doughters wedding. Perhaps i give away to much of the story, but who hasnt seen it?? So come and join us, and if your not with us tonight, just leave a comment here and let us know when you will join us, and we will try to make something speciall. Just for you, thats what we are here for!